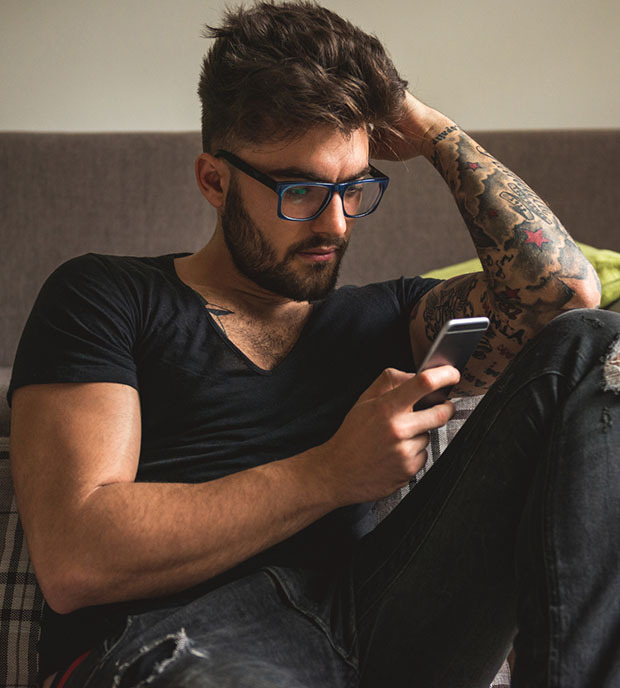 You have a lot of different choices for tattoo removal – so why should you choose our office? The expertise that comes with being a board-certified physician, combined with the most advanced technology available makes our tattoo removal services unparalleled in the region. Did you know that many tattoo removal practices are not run by physicians? It’s true. Although it seems counter-intuitive and a bit scary, non-physicians are often the people running the procedure. However, Dr. Luke is a board-certified physician, as well as being specifically trained in tattoo removal. Which means you can rest easy knowing you will receive the best care available anywhere. One of the unfortunate things about tattoos is that both getting them and getting them taken off can be uncomfortable. 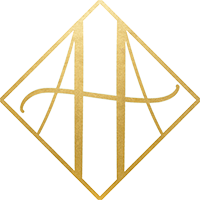 However, at Acadiana Health & Aesthetics, our technique and technology makes the entire tattoo removal process much less uncomfortable than more traditional methods. Additionally, we use chilled gel and lidocaine numbing cream that help relieve any remaining discomfort. Better technology means more efficient ink removal, which translates to fewer treatments, and ultimately, lower cost. 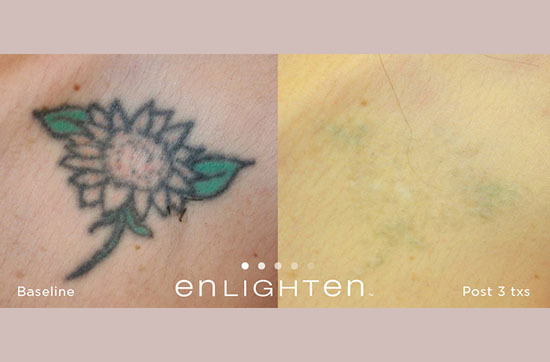 Since we use the most advanced technology in the world – the enlighten® laser with both nanosecond and picosecond technology – we’re able to offer clients the absolute best tattoo removal treatment for their particular and individual needs. 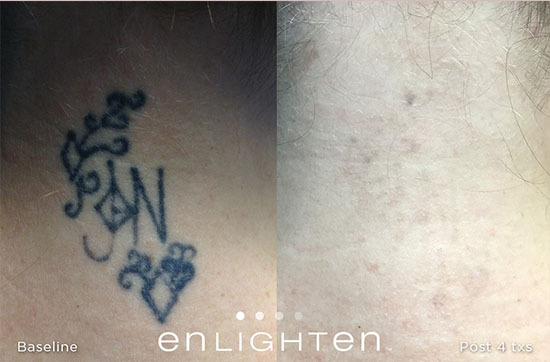 enlighten powers through unwanted tattoos using the world’s first dual wavelength laser technology. 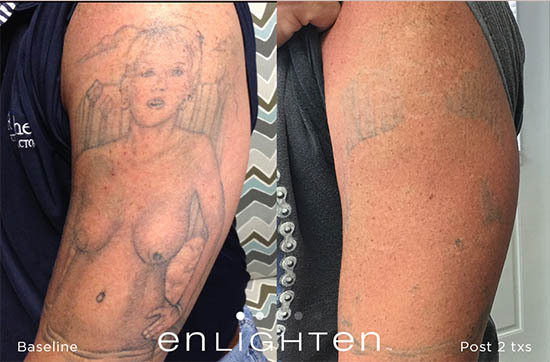 Using both nanosecond and picosecond technology to send ultra-short intense pulses of light to your skin, enlighten removes tattoos quickly and effectively. Nanosecond technology is extremely fast, with light traveling at one billionth of a second. Picosecond technology is even faster, with light pulses traveling at one trillionth of a second. Through your course of treatments, the laser light breaks up the ink into tiny particles that are absorbed by your body, then eliminated through your body’s natural processes. 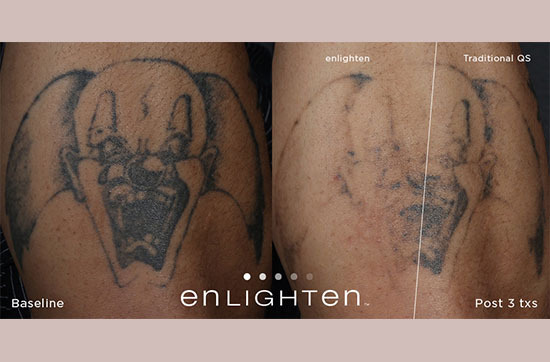 The enlighten laser is so fast and efficient that your tattoo could be eliminated in up to 40 percent fewer treatment sessions than other tattoo removal methods. The reason we offer both picosecond and nanosecond technology is to give patients the option to choose the pulse speed they prefer. Generally speaking, we recommend the picosecond setting for dark ink tones and dense designs. If you have a light or shaded tattoo, using nanosecond is usually sufficient. No other device currently exists that allows tattoo removal practitioners and patients to choose pulse speed based on individual factors. Skin types from extremely light to extremely dark can all benefit from the enlighten laser. 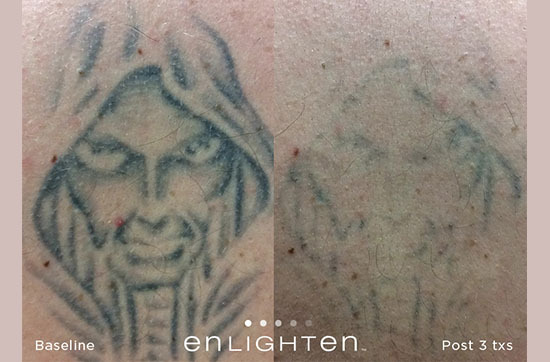 Tattoos are removed by lasers that emit short pulses of intense light that pass through the top layers of the skin to where the ink is located. The light breaks the ink into tiny, dust-like particles that are readily absorbed by your body, and eliminated through its natural processes. Most tattoos require several treatments for effective removal, depending on a number of different factors including your age, your tattoo’s age and location, quality of ink, ink colors, your skin color, location of your tattoo, your health, and whether or not you smoke. Although tattoos take several sessions to achieve optimum clearance, you should begin to see some improvement immediately after the first session. 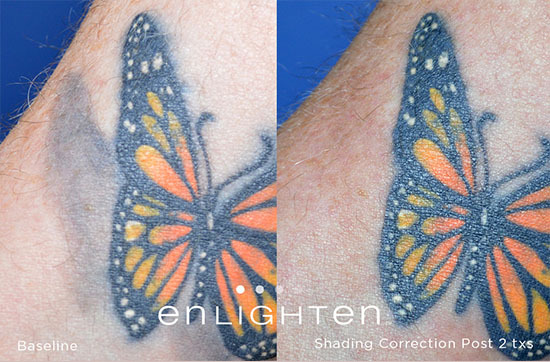 Your tattoo will continue to fade over the next few weeks, with maximum fading occurring by week four or six.